Egg fried rice is a delicious Chinese rice dish prepared by tossing aromatic basmati rice in roasted veggies. 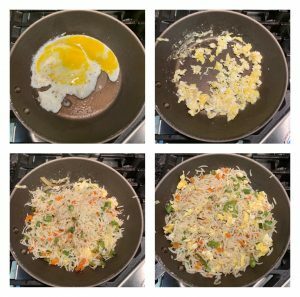 But I have prepared this rice dish in Indian style by skipping soy sauce, also I have added scrambled eggs last as I like it that way and also the raw flavors of egg is gone. But you can add the eggs along with the veggies as well which will will also taste great. 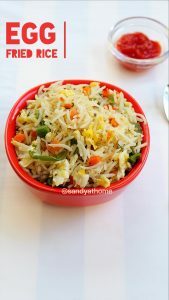 I have always been a great fan of fried rice since childhood specially love to see the way the street vendors prepare it in jiffy, so this recipe of mine is super close to that taste. I chopped the veggies really fine so that it can be cooked fast in few minutes. 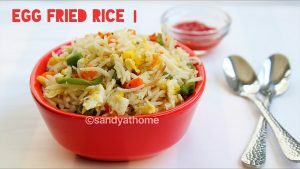 Always serve this rice hot and fresh as it tastes best. So let’s get to the making! Heat oil in a wok/ pan, when the oil is very hot add all the chopped veggies and salt, saute well for 2 minutes on high flame. 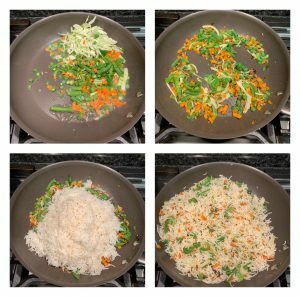 When aromatic and when veggies look cooked add cooked rice, salt and pepper powder. Toss the rice well. Now heat oil in another pan , break eggs, to it add little salt and pepper powder. Scramble eggs well. 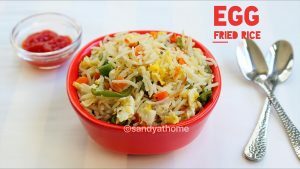 When the eggs look scrambled add the veg fried rice and toss well. Switch off the flame and garnish with few chopped green stalks of spring onion. Serve it hot with ketchup or Manchurian ! Heat oil in a wok/ pan, when the oil is very hot add all the chopped veggies and little salt. Saute well for 2 minutes on high flame. Since the veggies are finely chopped they will be cooked fast on high flame. 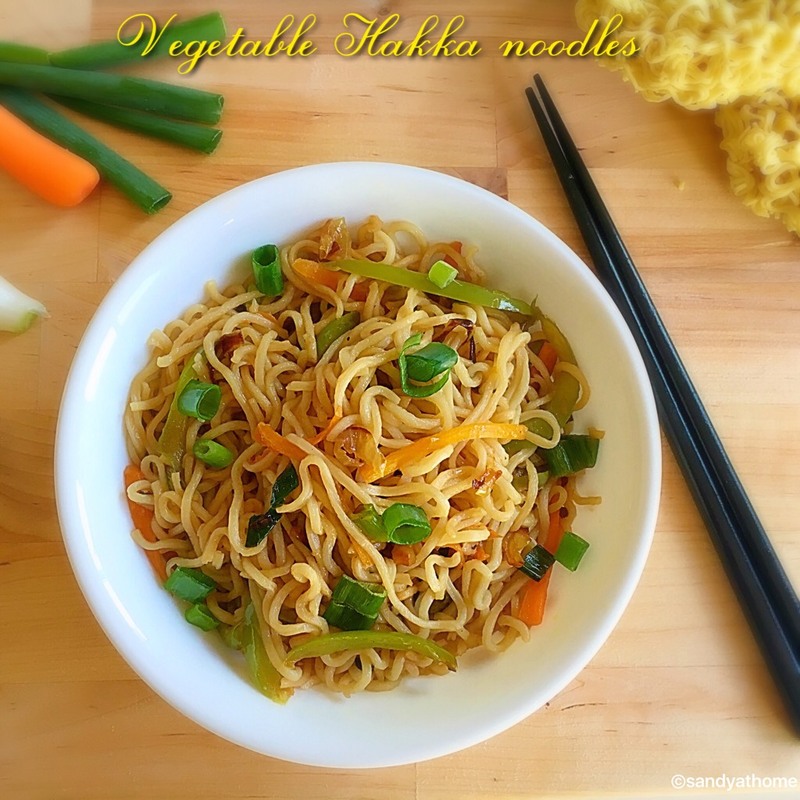 When aromatic and when veggies look cooked add cooked rice, salt and pepper powder. Toss the rice well. Do not over mix as the rice texture is very important.